Make your wedding even more special by having your first dance or father daughter dance choreographed to a song of your choosing by one of our expert choreographers. Get ready to dance the night away with your sweetie by allowing us to show you how to dance to all types of wedding music! 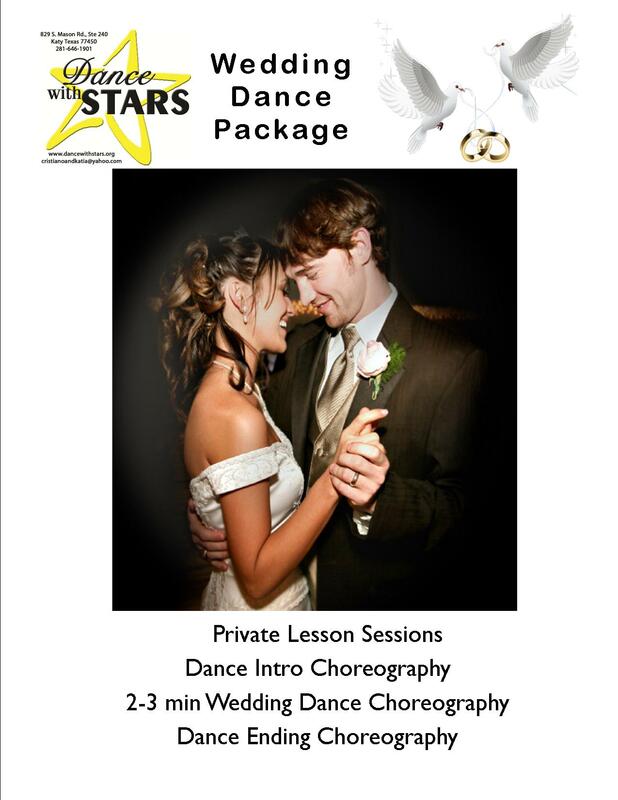 Do not hesitate, let the experience of our Choreographers at Dance With Stars make your wedding memorable for the years to come!!! I’m interested in setting up a few classes for myself and my fiancé to learn a dance for our wedding. I’m also interested in setting up lessons with my father as we are planning to dance to “old time rock n roll” and need help! Could you send me information and pricing? Thank you! Thanks for choosing Dance With Stars Academy!